A two component water based expoxy coating for floors and walls. 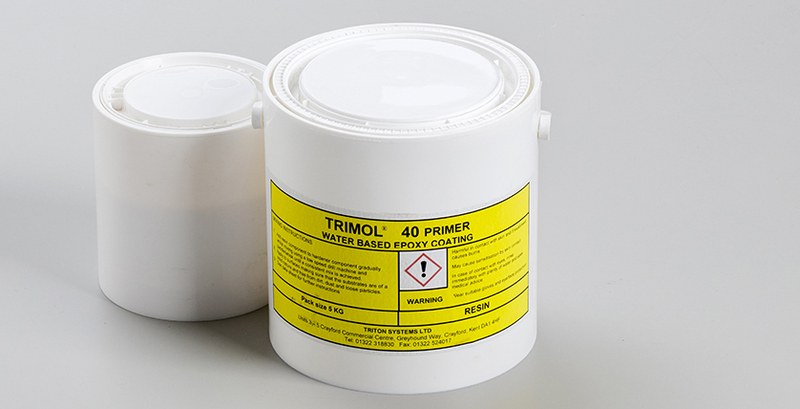 Trimol 40 is typically used to provide a damp proof membrane on walls and floors either on its own as a wearing surface or in a “sandwich” construction between sand and cement renders. Can be applied to brick, concrete, stone and cement renders when damp.